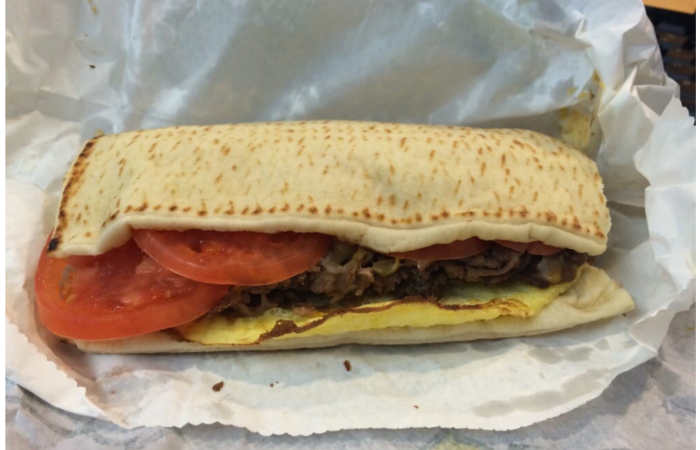 We've all wanted something new from Subway at one point or another. It is absolutely my favorite place to stop for a quick bite. But slowly the regular sandwiches have all started tasting the same. That's when I heard about the Subway Secret Menu and I had to try. 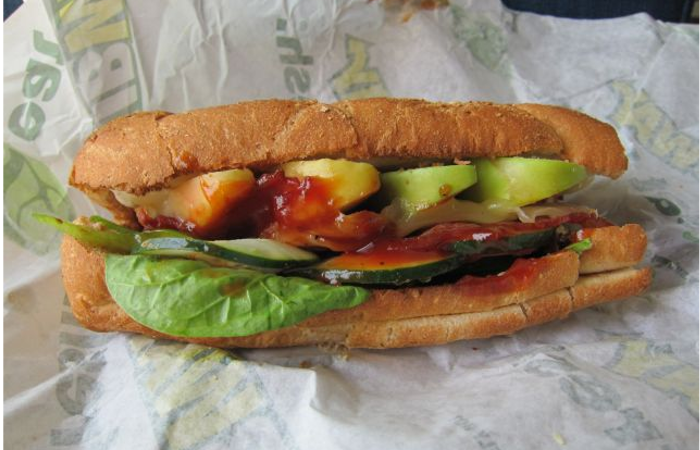 Subway has been reinvented for me, thanks to these secret menu items. Below we'll be rounding the best from the Subway Secret Menu so whether you're looking for something new to try, a specific secret menu item or bonus hacks, you'll find it all below. 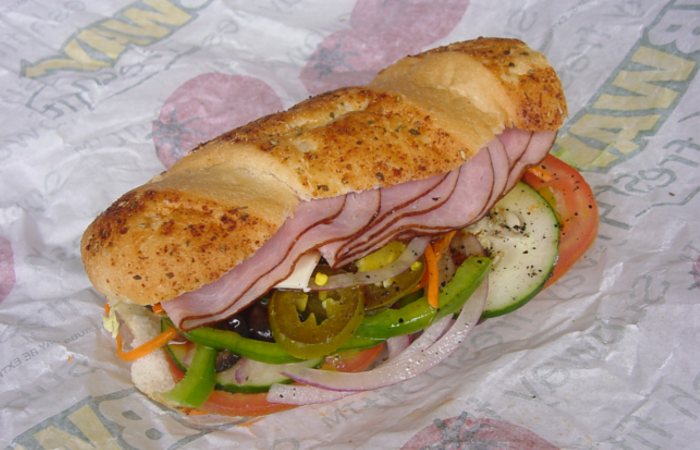 The hubby always says he wants everything but jalapeno's on his sub. Let me tell you this makes a huge mess and its nearly impossible to keep together right. But did you know that there is a better way for people that love all of their veggies? 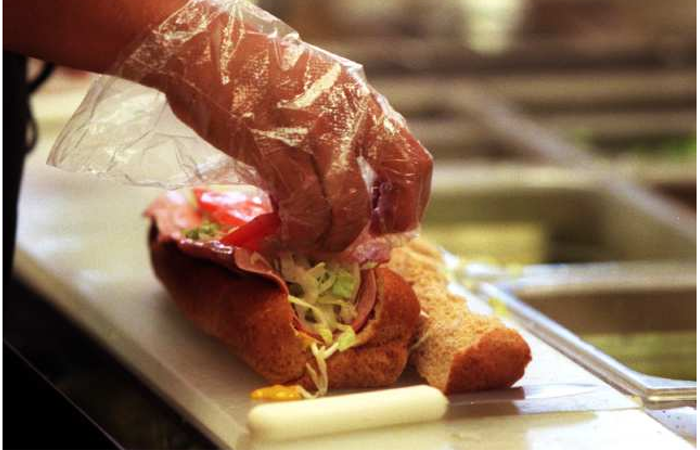 Back in the day Subway professionals would slice their bread like a "V" right on top instead of the slice down the middle, it's a classic cut but it's really a game changer. This makes for a hotdog bun like appearance that you can load to the maximum so next time you feel like a big veggie meal just ask for the old cut. 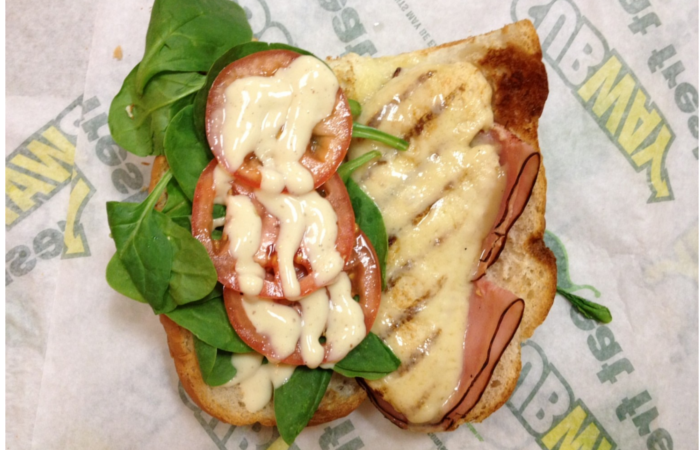 When it comes to Subway's secret menu items, this oldie but goodie is a stand out you'll have to give a try. Who doesn't love just biting into a big chuck of meat.. keep your minds straight mommas... We're talking about sliced meat hanging right off the bun. This delicious sandwich is made by laying your meat flat across your bread instead of folding it over which gives it a wing effect look and let me tell you it is very scrumptious and allows you to savor your meat before your bread, it's seriously delicious. This is a long time favorite on the Subway secret menu. Everyone knows I loves pizza and this is the pizza lovers dream come true. This is that one you tell your friends about and they don't believe you. When you order it you will receive red tomato sauce, pepperoni, cheese, your choice of bread and veggies. Ask them to toast it for the awesome hot pizza crunch, add some parmesan cheese, and you get the best pizza sandwich you have ever tried. Just thinking about it makes my mouth water I think I know what I need for dinner tonight. 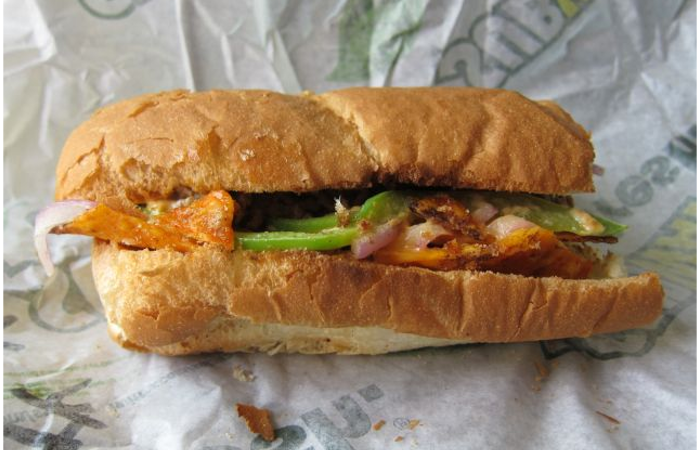 Give it a try and come back and let us know why this was your favorite secret subway item. Back in the 90's a Subway worker wrote about the biggest sub he ever made from a truck driver that said he was super hungry. The story gos that the BMT was the result. It stands for: Biggier. Meatier. 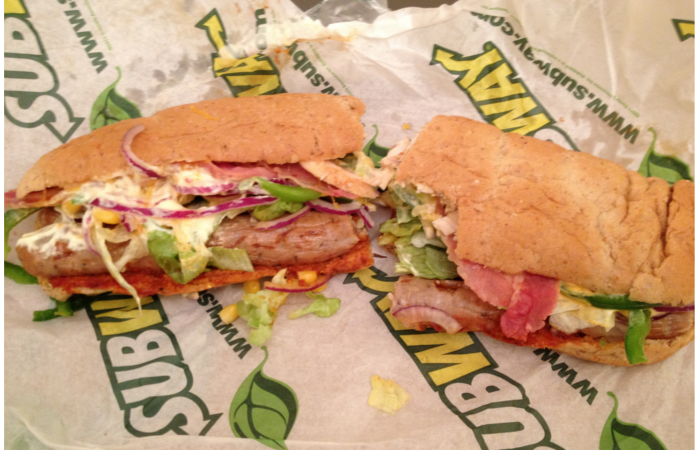 Tastier and includes 8 double meats, 8 double cheese, 9 layers of bacon, more bread and every vegetable. Two forks. I really think it might even be too big to consume, you'll have to let us know. 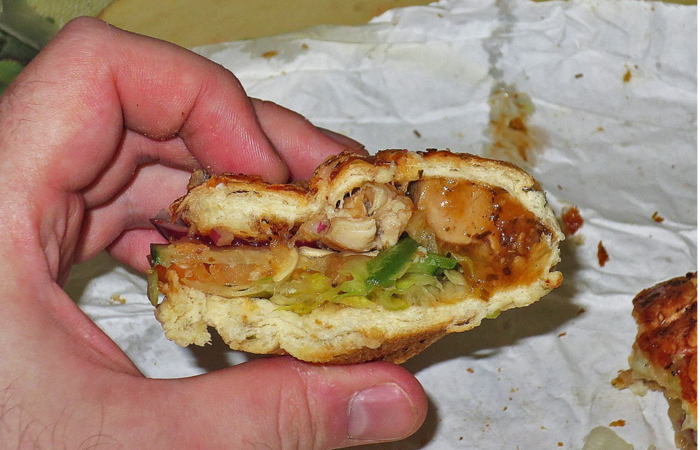 This thing is huge, and falls in at number 4 for our secret menu items at Subway. If your a huge fan of steak like me then your going to love this secret steak devouring taco like sandwich. It comes with a flatbread loaded with egg whites, steak, guacamole, spinach, red onions, sliced tomatoes and topped with yummy Chipotle sauce. It's something different but still very delicious. This 100% makes my mornings so much more brighter. I look forward to each bite and its just as savory right down to the very last little piece. If your getting up to a late start and its lunch time or even later no worries this sandwich will still give you your morning protein infused madness and you can order it anytime of the day. It’s made on their super soft flatbread and comes with egg whites, red onion, banana pepper, spinach, black olives and topped with a tangy Italian dressing to give it a twist that makes your mouth water for more. If you're looking for something light for breakfast, try this one. 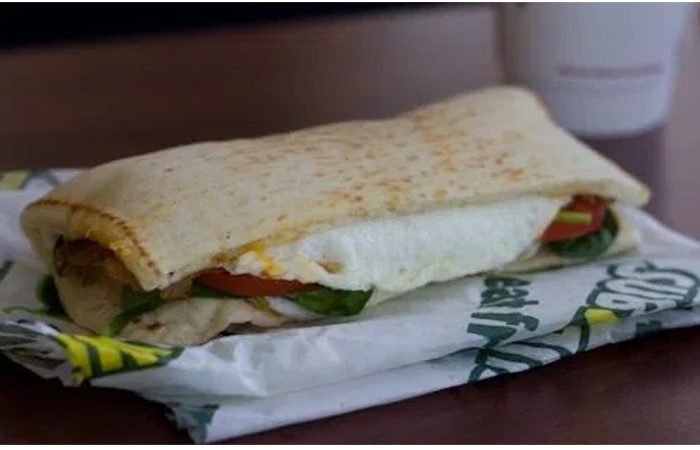 I've actually ordered this Subway secret breakfast item about 30 times and each time I realize how glad I am for stumbling upon it. All my friends always ask me about this one. Back in 2010 this was actually a really popular menu item but Subway took it off their regular menu. However no worries they still have all the ingredients to make it right their in front of them. 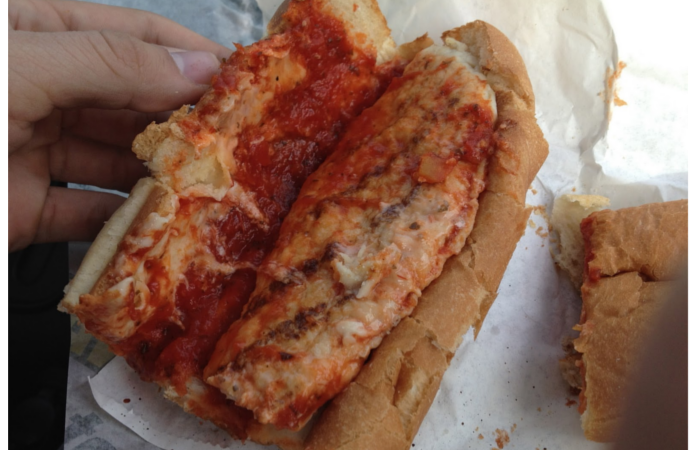 You really can't go wrong with a Chicken Parmesan Sub. When ordering this secret menu item just ask for a sub with roasted chicken, marinara sauce, and parmesan cheese. If you want an extra special gooey goodness ask them to toast it so your cheese is melted down and your bread has a lovely crunch to it. Sound delightful right? We all love a Philly steak sandwich but what about taking it to a new level and getting this awesome master piece. 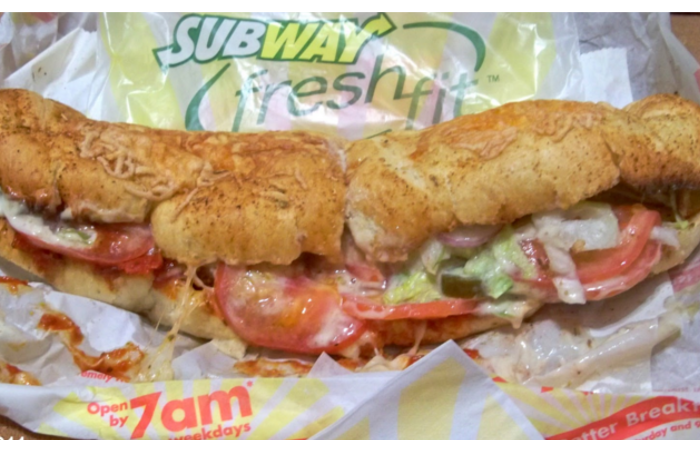 This Subway secret menu item is an absolute favorite of mine and hubby's. 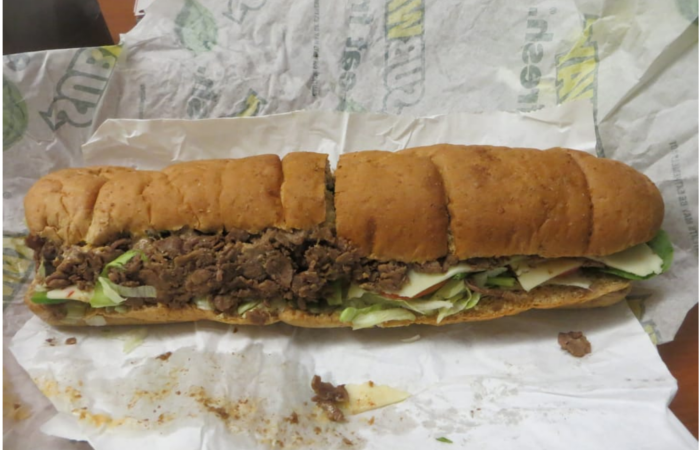 To get a huge sub full of steak thickness order it as a footlong and you will get a sub with 3 BIG scoops of steak and twice the cheese as normal. Being from Philly I can't say it taste just like a Philly cheesesteak, but its close enough. Dont forget to add in onions and green peppers for the ultimate Philly taste. We also love adding banana peppers, add this with a bag of chips and you have yourself a dinner. Feeling super hungry? 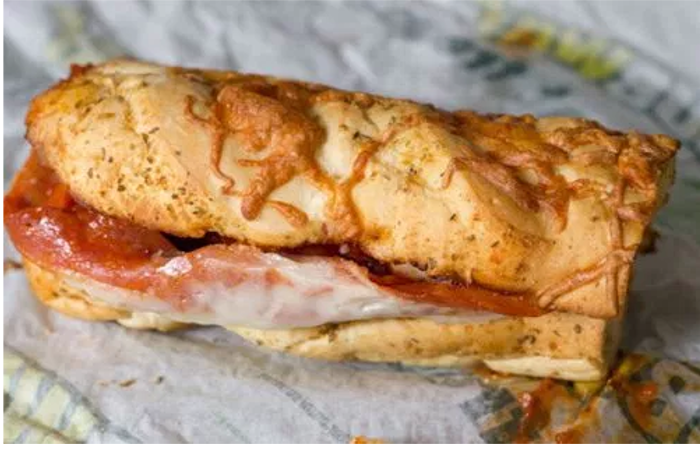 This sub is so huge you can split it with a couple friends but the cost to this one will run you up about $13 but its totally worth every penny. This one used to be part of the menu but it was removed. Have no fear as you can still order it. 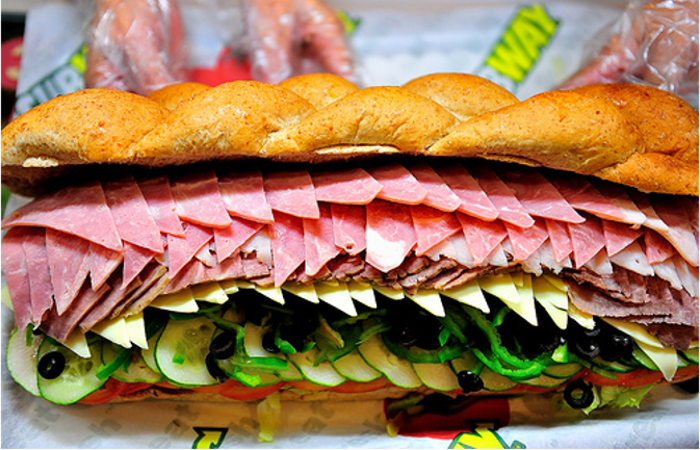 Its basically a club + BMT so a footlong is 6 salami, 6 pepperoni, 4 turkey, 6 ham, and 4 roast beef. If you are craving meat you found the sub for you. The hubby absolutely loves this pure meat pyramid and it even gives him breakfast too making a total win-win for me. 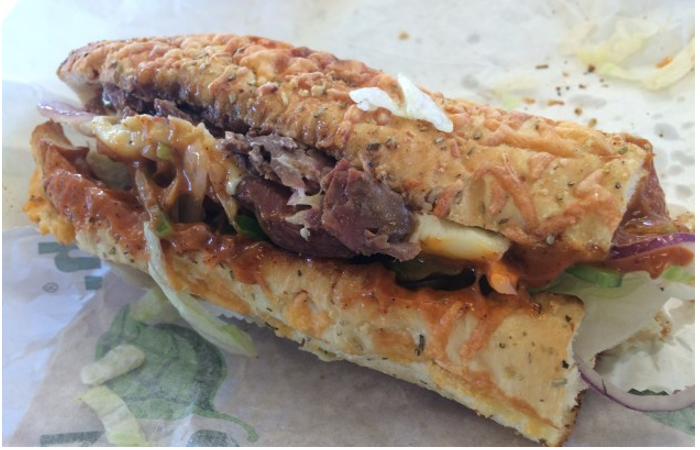 The Feast sub is a meaty sub but now to number 10 this sub is a meat lovers dream come true so much that its also known as "The Carnivore". I hope you're hungry for this one. It includes 4 scoops of steak, 6 slices of bacon, and a great big handful of pepperoni. Talk about something devouring this by far is my absolute favorite of them all I throw on my favorite veggies and Mayo and enjoy every single bite. If your in love with sweet and sour then your in luck. This sub is made with subways delicious red wine vinaigrette and sweet onion sauce poured over top of their yummy chicken. Something different but still delicious. If your anything like me when you hear sweet and sour your mouth waters and when you pair it with chicken it becomes the ultimate treat. Just throw on my favorite veggies and let the sandwich do the walking right into my stomach that is. This is one of the fanciest chicken meals you can eat and now you can take fancy to a whole new level when your taste buds devour this ultimate feast. Ask for this sub and you will get hot chicken, slices of ham and super gooey swiss cheese for a taste that is to die for. Talk about fancy, this is almost fancy enough to serve at my next dinner party but that's if it could even make it home I absolutely love this sandwich. Who says that you cant have crunchy chips in every bite? I love putting chips right on my sandwich at home so when I found out about this secret menu sandwich I about screamed. It includes Steak, chipotle southwest sauce, nacho cheese doritos, shredded monterey cheddar, onions and bell pepper all BEFORE toasting. After toasting throw on your favorite veggies and you my friend have a sandwich that is going to sing glorious to you through every bite. If your looking for a sub with a sweet crunch that screams autumn delight then this is for you. The autumn apple chicken sub is created with roasted chicken, swiss cheese, bacon, crisp apple slices, spinach, green peppers, cucumbers and finally topped with a zesty BBQ sauce and is so good you will wonder why you didnt try this sooner. Who ever came up with this sub knew exactly what they was doing. It has 8 pieces of salami, 8 pieces of pepperoni, 6 slices of turkey, 6 slices of roast beef and topped with yummy swiss cheese. Its a complete celebration in your mouth as you devour each bite, its scrumptious and the pepperoni gives it a kick of pure love. To round up the most awesome menu we needed a sandwich that was off the hook awesome and that is exactly what this sandwich is. Can you really go wrong with more secret menu items that include pizza? My two favorite foods are chicken and pizza and this sub has them both on it. You get the delicious thick chicken breast topped with pepperoni and cheese plus all your favorite pizza veggies, add some marinara sauce and toast this bad boy up for the ultimate mix of two foods that will make every taste bud in your mouth explode in enjoyment. 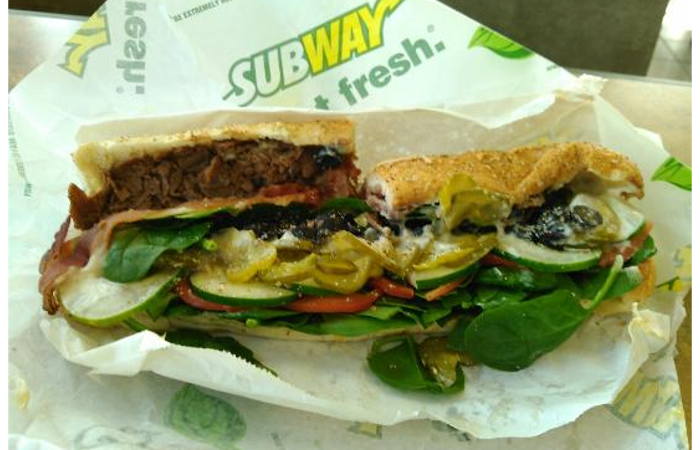 Your turn: These sandwiches have reinvented our Subway and we have loved trying them all. Try out some of these awesome menu items and come back to let us know what your favorite is.